Soft & lightweight fabric with a ribbed texture. Our Collection at Boxers and Briefs contains only the highest quality EA7 Emporio Armani Mens Beachwear. 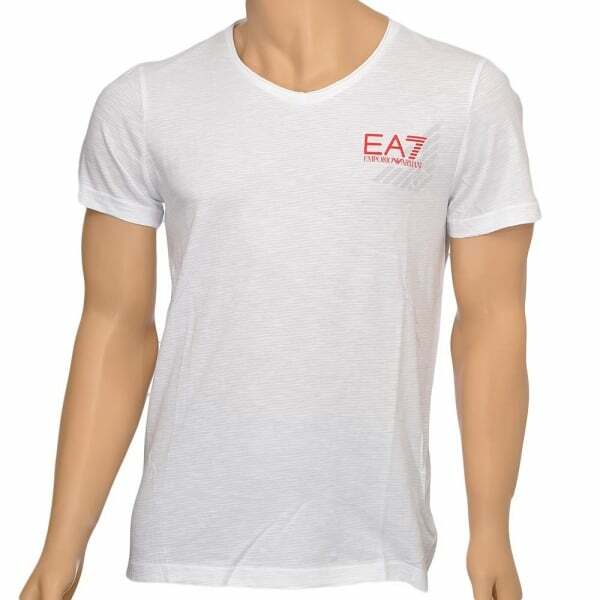 In our EA7 Emporio Armani Beachwear collection we have the Sea World Core Eagle V-Neck T-shirt in White. 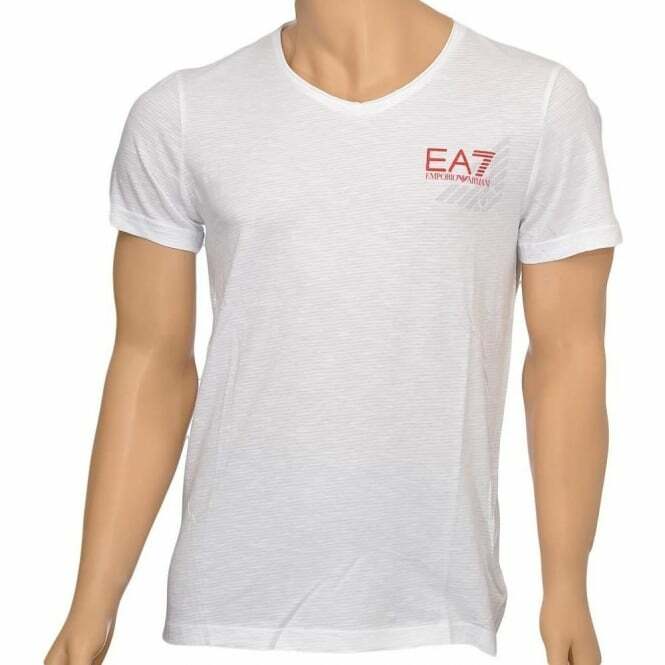 This EA7 Emporio Armani beach top is available in multiple sizes ranging from size Small to Extra Large.